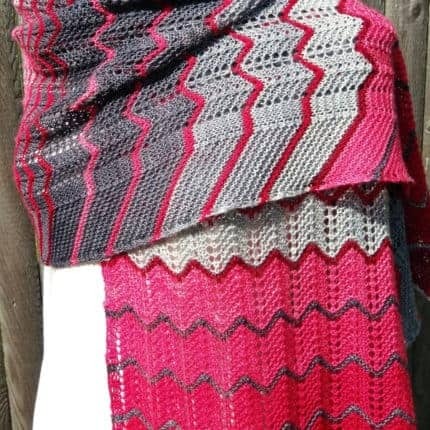 Gradient Play is a rectangular-shaped shawl with a simple lace pattern interspersed with garter stitch stripes; enter in the gorgeous gradients and the resulting shawl is an eye-catching mixture of “rippled” color progression. 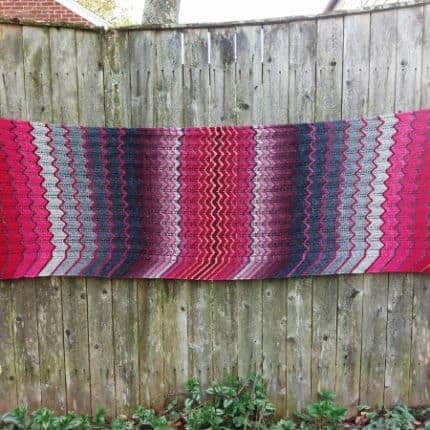 It’s knit with two contrasting gradient sets. 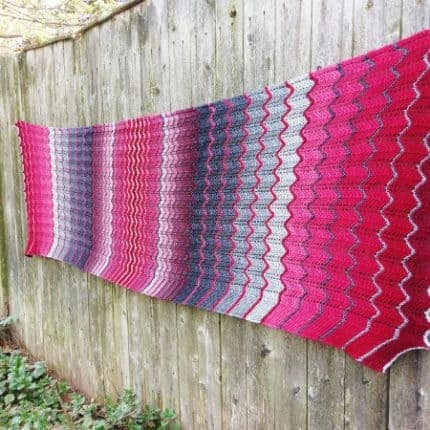 Do you have gradient sets languishing in your stash, or perhaps a bag of “leftover” skeins? 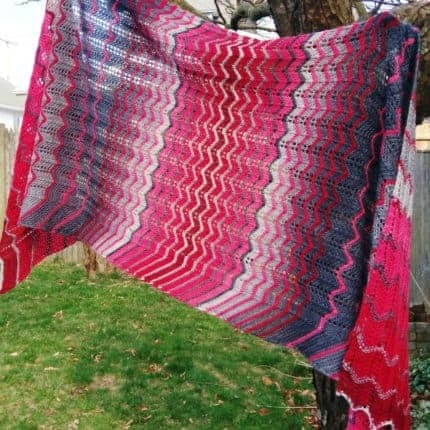 This shawl is perfect for using up either. 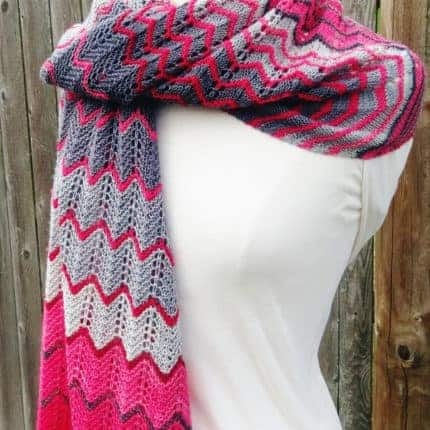 Directions for adjusting the pattern to work with the yarn you choose are included. 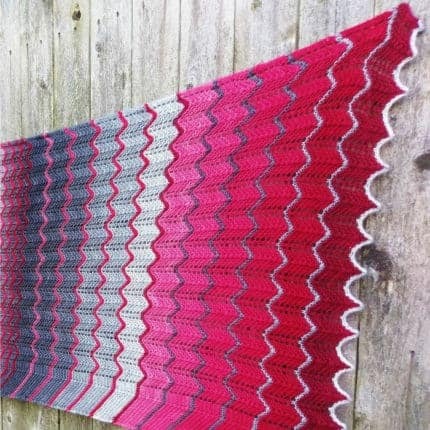 There are even a few “coloring” pages to test out your color choices before you knit.